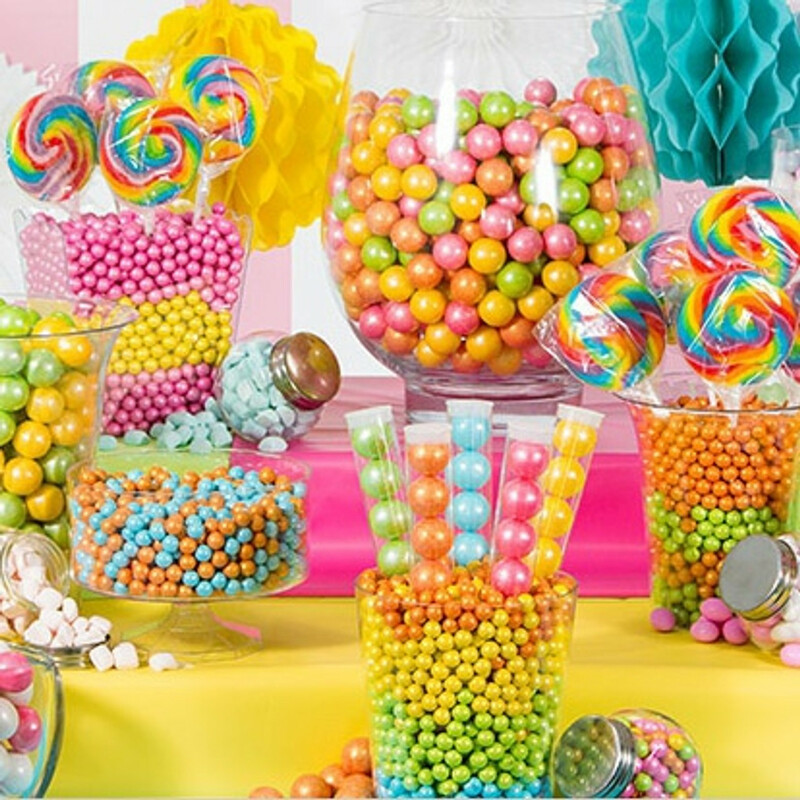 Candy Buffet bring colour delicious sweets all presented on an enticing Sweet station with Rainbow coloured party accessories. We have picked lovely jars to display your array of sweets along with colourful scoops and a selection of colourful party bags for your guests to take home. So if you are celebartiong a wedding, kids party adult parties it really doesnt matter we all love sweets and when they presented in this unique style who can resist.